Browse the ample options available with us dedicated for your brother and select something which will take him by surprise. 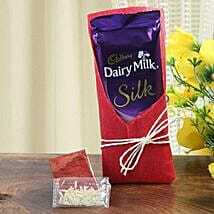 Take this chance to make him realize how much you adore his stupid pranks by sending Bhai Dooj gifts to him. Send him an unexpected and thoughtful gift complimented with a bhai dooj pooja thali. The Bhai Dooj pooja thali will be consisting of Roli, Akshat and other items for the ritual. 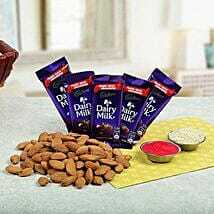 Send Bhai Dooj gift for brother on bhai dooj according to your brother’s age, personality and his liking. If he is passionate about sports and love adventures, send him a travel wallet, which he will find of use. Recollect all your past days and print it on a cushion cover or a coffee mug. Let him cherish those special memories together with our customized gift option. 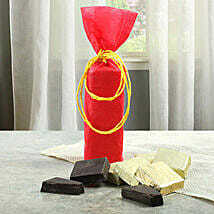 Or gift him a delightful and classy perfume that will enhance his closet or a watch with a message to be punctual. One of the greatest festivals of Hindu calendar is the bhai dooj also known as bahu beej that celebrates the lovely bond between a brother and sister. The fourth or the final day of Diwali is attributed to this festival and sees congregation of friends and family. Get Bhaiya dooj gifts for brother from our portal and celebrate the festival with great pomp and show. Bhaiya dooj celebrates the bond between a brother and a sister and like any other festival this one also calls for many gifts. 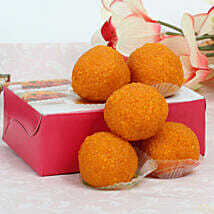 Get some nice stuff like flower bouquets, chocolates, and cakes as Bhaiya dooj gifts for brother. 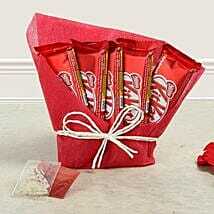 Flowers, cakes, and chocolates are certain things that complete every festival. Flowers look after a serene decoration of your home and cakes are for the dessert table while chocolates are meant for a warm welcome. Bhaubeej gift for brother is therefore easy for you to select from our wide array of gifts. 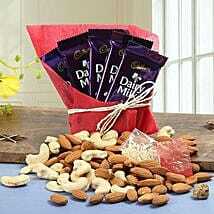 You can get other gifts for sister on bhai dooj on our website to impress her. View the hundreds of option available on our website including beauty kit, cosmetic kit, teddy bears and refreshing spa hampers and other Personalized gift items like coffee mugs, lampshades, cushion covers, or jewelry items are here to make her smile. Show your love and respect for your sister in a very trendy manner. 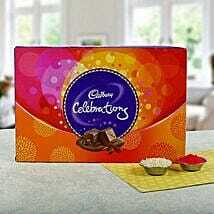 Celebrate the love-hate relation by sending Bhai Dooj gifts for brother. 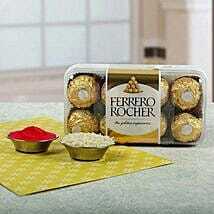 If your brother has a soft corner for sweets, present him with rich flavoured chocolates. 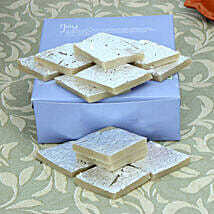 Add more sweetness in your relation with our freshly baked yummy cakes. Send Bhaubeej gifts for brother with our efficient services delivering products within four hours and even at midnight on special request. 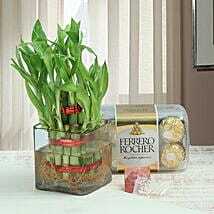 Ferns N Petals is long been associated with great gifts delivered over miles. Spreading smiles over miles is our only motto. And thus we have some great bhai phota gifts for brother in our stock. These gifts include everything that your brother may require. Wellness gifts like shaving kit, stylish gifts like leather wallet, and appetizing gifts like Kaju Katli, pedha, gulab jamun are there to woo him totally. We have been in this gift industry for more than a decade and therefore we easily come up with some innovative ideas to decorate your occasion and make your loved ones smile bright. 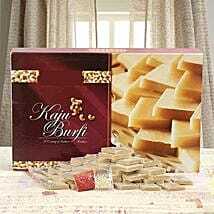 Surf our website very well to get some of the best bhai dooj gift ideas and have a lovely time with your brother.